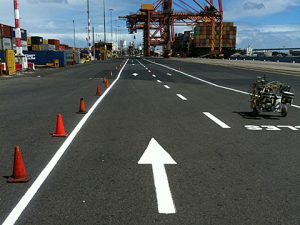 Line marking is essential as it helps demarcate a space which may vary from car parks, traffic lanes, and industrial complexes to commercial zones. Most importantly our professionals seek high standard approach and work with quality materials to render superior grade signage as well as modern line marking solutions. Our professionals undertake strategic measures to ensure that your property stays protected and is also updated with the different security regulations. At Painting Companies in Sydney, we are happily serving our clientele with best services, a premise owner can expect.